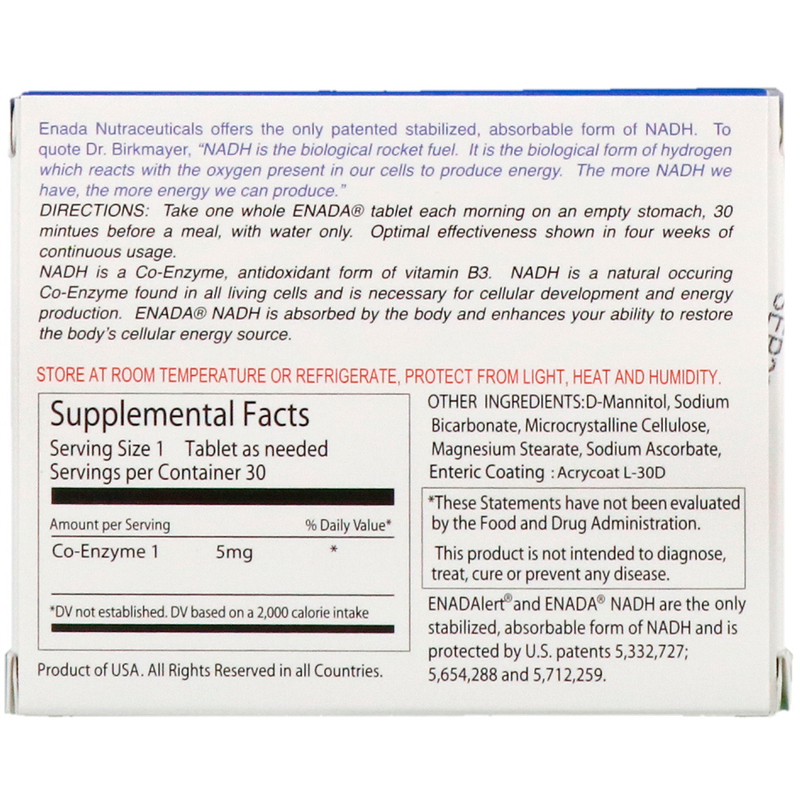 Enada Nutraceuticals offers the only patented stabilized, absorbable form of NADH. To quote Dr. Birkmayer "NADH is the biological Rocket Fuel. It is the biological form of hydrogen which reacts with the oxygen present in our cells to produce energy. The more NADH we have, the more energy we can produce." NADH is a Co-Enzyme, antioxidant form of vitamin B3. NADH is a natural occurring Co-Enzyme found in all living cells and is necessary for cellular development and energy production. 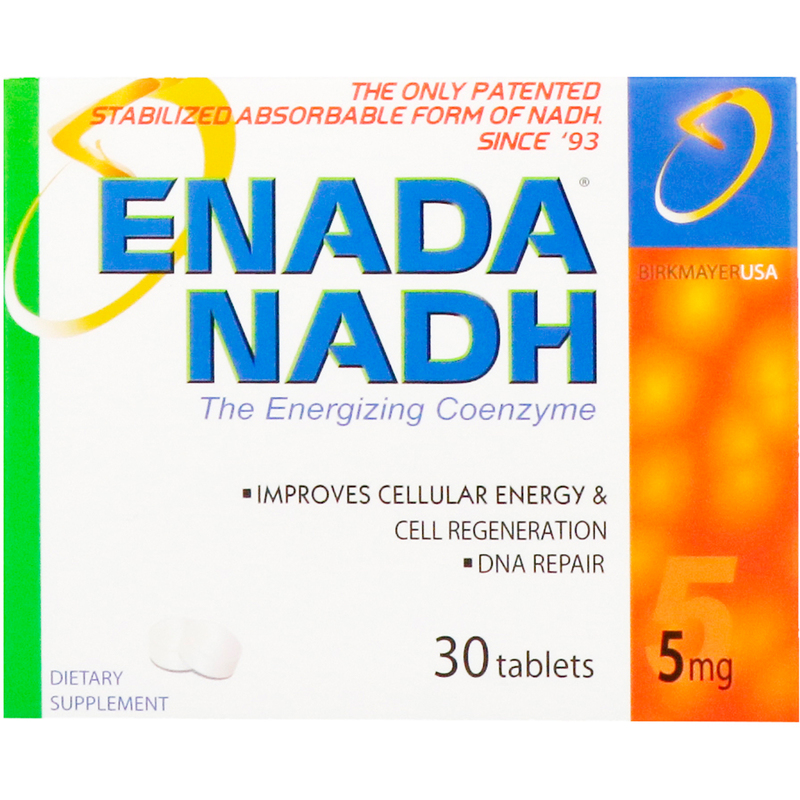 ENADA NADH is absorbed by the body and enhances your ability to restore the body's cellular energy source. Directions: Take one whole ENADA tablet each morning on an empty stomach, 30 minutes before a meal, with water only. Optimal effectiveness shown in four weeks of continuous usage. Contains No caffeine, no hormones, no sugar, no yeast, no dairy, no starch, no preservatives, no artificial colors or flavors. Store at room temperature or refrigerate, protect from light, heat and humidity.